With Facebook introducing the hashtag function recently, it is now officially a cross-platform functionality across all social media tools. It is ironic how something that was originally designed to organize tweets by grouping them into categories has now become a powerful marketing tool for businesses and even for individuals. It has become such an important tool now that independent websites such as twubs.com are being created in order to inform people of which hashtags are popular for which events, topics or people so that companies can use proper hashtags to reach the right users. The use of hashtags is also a big part of Twitter live chats. It enables users to participate in live chats and Q&As by asking questions. It also gives the company hosting the live chat a chance to appear on the sidebar among the trending topics based on the frequency of the use of the hashtag for the event. Not only does this give more exposure to the company, it also encourages people to look at it and join the conversation and engage with the other followers. Using geographic hashtags is another great way of reaching your audience. I personally experimented with this for my photography work. I like showcasing my photography on the Internet and every time I post a new photo on my Flickr account, I tweet about it simultaneously using the hashtag #vancouver (or wherever the photograph was taken). It is such a simple step but it increases the reach of that tweet by a large number. Just by completing that one little step before tweeting, I increase the potential reach of the tweet and after a while, I realized that people were retweeting my pictures on Twitter. This is a very small scale example that shows the potential impact of geographic hashtags. Building on that example, it is worthwhile to note the importance of using multiple platforms and connecting them to each other. These days, there are numerous social media platforms for different purposes such as Facebook (social networking), Twitter (micro-blogging), YouTube (video sharing), LinkedIn (business networking), Flickr (photo sharing) etc. Although these platforms are trying achieve different objectives and are targeting different groups, the majority of the time they can be used simultaneously like I mentioned in the example above. For that reason, it is important to connect these different social media accounts together and understand the different purposes of each one use the appropriate one(s) in a given occasion. Hashtags are not here to replace paid internet marketing, nor can they promise generating direct new leads for a business. 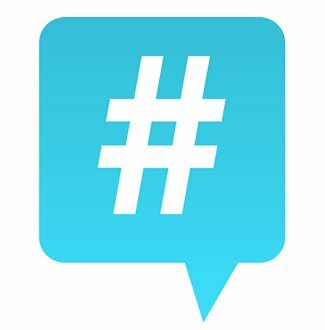 The power of hashtags come from a simple thing: they are free and they increase your reach. These days, it is all about awareness and being top-of-mind when it comes to marketing and hashtags, with the participation of Facebook, are now officially a powerful cross-platform tool to increase awareness and reach.